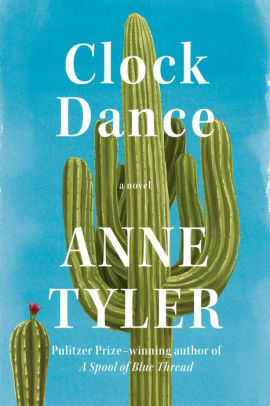 There’s something comfortably reassuring about Anne Tyler’s new novel Clock Dance (Knopf, digital galley), like turning down a road in your old neighborhood and seeing that not much has changed. The tree on the corner may be taller, but the neighbor’s house still needs a lick of paint. It’s all familiar — the gray cat crossing the yard, the light slanting across the front porch, the geraniums on the steps. You can’t help but smile. So why is there a giant cactus on the cover? That’s not something you see every day in Baltimore, Tyler’s home turf and the setting of such well-loved novels as The Accidental Tourist and Breathing Lessons. Not to worry. Instead of having a character leave Baltimore in search of adventure, Tyler has Willa Drake departing her Arizona home for a shabby street in blue-collar Baltimore. But before this we meet Willa at significant intervals in her life: as a 1967 schoolgirl whose mother has apparently walked out on the family; as a 1977 college student on a plane with her new fiance; as a 1997 widow, her controlling husband dead in a road rage accident. Skip forward 20 years, and Willa has remarried and is living in an Arizona golf neighborhood. While stuffy husband Peter golfs, Willa, having given up her teaching job, whiles away the time on mundane tasks. She’s actually sorting headbands when she gets a phone call bidding her to come to Baltimore to take care of her son’s ex-girlfriend Denise’s 9-year-old daughter Cheryl. Denise has been hospitalized with a stray bullet in her leg, and Willa has been mistaken for the grandmother who will drop everything and take care of a child she’s never met. Goodness! Now Tyler’s cooking, and Willa comes into her own, getting to know the oddball neighbors, finding a kindred spirit in self-possessed Cheryl, listening to Denise fret about her shattered love life, and gracefully shuffling Peter to the background. There really are no villains in a Tyler novel. Some people are obtuse, even selfish, but the true enemy is time, ticking away the moments. Tyler, with her generous view of human nature and an affinity for illuminating what might be considered ordinary lives, alerts us to the moments and how they add up. Clock Dance is a very nice book in our not-so-nice times. A subplot involving Bunny’s sudden attraction to a pot-smoking neighbor and thus to veganism and animal-rights seems somewhat forced, but it does provide Tyler the chance for some satirical observations and to kick the action up a gear. The scenes of Kate at nursery school are spot on. The kids play and bicker — “Did so.” “Did not” — like the four-year-olds they are, occasionally spouting perfect gems, as when one girl talks about frolicking baby goats: “Yes, a few of them were just barely beginning to fly.” The children may not see Kate as an authority figure, but they recognize her as a kindred spirit. The little boys want to marry her one day. They accept her for who she is, as does Pyotr, who knows she is more than a green card. Still, the question remains. Will Kate and Pyotr marry for convenience, go their separate ways, or will they make a true match of it? Tyler takes her cue from another Shakespeare play: All’s well that ends well. Summer reading, anyone? This house is at the heart of Anne Tyler’s A Spool of Blue Thread (Knopf, e-galley), a novel as comfortable and welcoming as that gigantic porch. 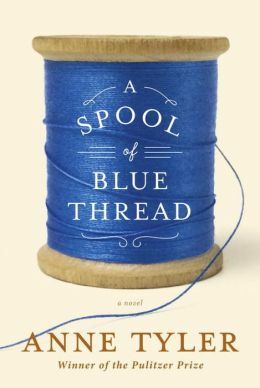 With characteristic ease, Tyler draws readers in to meet the Whitshank clan, which like all families, thinks itself special, spinning its own mythology out of shared history and stories. One story is how Junior, a self-made contractor out of the West Virginia mountains, built the house for another family in the mid-1930s but eventually moved into it with wife Linnie Mae, daughter Merrick and son Red. Another concerns how Merrick schemed to get away from the house by stealing another girl’s rich boyfriend. Methinks Tyler doth protest too much. Tyler has made a career — this is her 20th novel — of illuminating the ordinary so it becomes extraordinary. Her characters both charm and exasperate with their mild eccentricities as they negotiate domestic life, which Tyler depicts as both rich and interesting. Readers will recognize the familiar territory, relish the generous details. Here is Breathing Lessons grown old. The book is divided into four parts. The first introduces the present-day Whitshanks. Laconic Red and effusive Abby are in their 70s, and their four grown children can no longer pretend that everything is fine at the house on Bouton Road. Red has slowed down significantly since a recent heart attack, and Abby has memory slips. Daughters Amanda and Jeannie, both married to men named Hugh, concur with youngest son Stem that he and his family will move in to look after Red and Abby. Then prodigal slacker son Denny, who has dropped in and out of family life for years, moves home, announcing that he will take care of things and why does everyone think he is unreliable, anyway? The list is so long as to afford chuckles if not for the long-held rivalries and secrets bubbling to the surface. An accident changes everything, and the Whitshanks begin to unravel. Tyler abruptly time-shifts to July of 1959 and “the beautiful, breezy, yellow-and-green morning” when teens Abby and Red begin their courtship at the Whitshank house. The family is preparing for Merrick’s wedding, and as Abby helps usually quiet Linnie Mae in the kitchen, she learns a surprising fact about her future in-laws. It’s a hint of what’s to come in part three, another extended flashback, this time to Junior and Linnie Mae’s early days in Baltimore. Fascinating stuff, and it goes a long way toward explaining Junior’s attachment to the house. 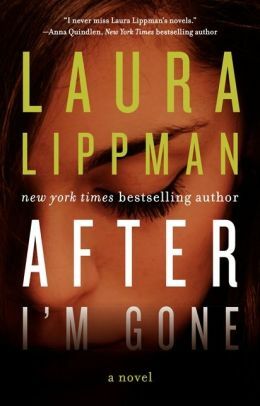 Baltimore bookie Felix Brewer is the gone guy in After I’m Gone (Morrow, review copy), Laura Lippman’s artful novel of character and family, mystery and murder. When Brewer faces prison in July 1976, he chooses to disappear for parts unknown, leaving behind his beautiful wife Bambi and their three young daughters, as well as his mistress, former showgirl Julie Saxony. All of their lives are forever shaped by the absence of charismatic Felix. Bambi is forced to turn to her husband’s best friend, a wealthy attorney, for ongoing financial help, believing that Felix is still supporting Julie at the expense of her family. And when Julie vanishes 10 years after Felix, it’s generally assumed that he sent for her at last — until her body is found some months later at a local park. Still, her murder remains a cold case until 2012, when retired Baltimore detective Sandy Sanchez begins investigating as a consultant. Bambi, still lovely at 73, has always been good at keeping secrets. Her grown daughters — working mom Linda, smart, needy Rachel and pretty, selfish Michelle — have inherited that trait, as well as a stubborn belief their father will return. Sandy eventually discovers that all of the Brewer woman had motive and possible opportunity to do away with ambitious Julie, who so believed that Felix would marry her one day that she converted to Judaism. Sandy, who has his own haunted past, thinks, “we tend to order things according to the reality we know, as we discover it. All life is hindsight, really, stories informed by their endings.” You can keep that in mind as After I’m Gone reaches resolution — and also that Lippman is so very good at misdirection. The coda — “Never Let Me Go” — is perfect. In 1920, London is still shadowed by the Great War. The reminders are everywhere, as maimed veterans sell small items door-to-door or park their wheelchairs on street corners. And they’re the lucky ones. A generation is buried in France and Belgium, leaving behind grieving wives, mothers, daughters, sisters, lovers. 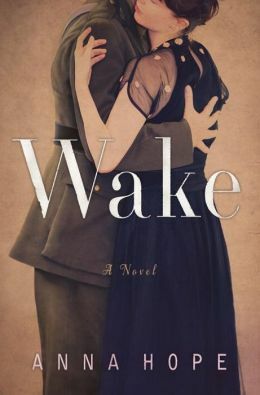 Anna Hope’s sad and lovely first novel Wake (Random House, digital galley) unfolds over five days in November as Britain awaits the arrival of the coffin of the Unknown Warrior. Hope traces the journey of this anonymous soldier from his grave in France to London on Armistice Day in a series of italicized passages, but her narrative focuses on three women living with loss. Hettie’s a dance hall girl, whose share of her sixpence-a-dance wages goes to support her widowed mother and shell-shocked brother. At a nightclub, she encounters a handsome veteran who perhaps will be her ticket to a new life. Evelyn, a bitter spinster whose fiance was killed in the war, immerses herself in work at the Pensions Bureau and wonders how her adored brother seemingly shrugs off the horrors he saw as an officer in the trenches. Ada remains so haunted by the death of her only son Michael that she neglects her husband and life itself. Over the course of the book, Hope delicately reveals the devastating wartime tragedy that unknowingly links the three women. 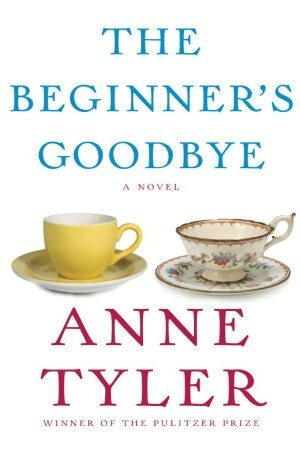 You may have heard that Anne Tyler includes a ghost in her new novel, The Beginner’s Goodbye. The ghost is Dorothy, a short middle-aged radiologist killed when a tree falls on her house one August. Some months later, she appears to her grieving husband Aaron, a 36-year-old editor at a small Baltimore publisher that specializes in beginners’ how-to guides on various subjects. Aaron first met no-nonsense Dorothy while editing ‘The Beginner’s Cancer” and was impressed when she came right out and asked him about his crippled arm. Aaron doesn’t believe in ghosts, but here’s Dorothy showing up at his side as he walks down the street or browses in the farmers’ market. These brief encounters cause him to reflect on his so-called happy marriage and how often he and Dorothy were out of sync. And so Dorothy’s ghost begins to ease him out of the suspended animation of his grief, which has landed him back living with his bossy older sister in the family house. It’s a sweet, slight story written with Tyler’s seemingly effortless grace and charm. But it’s so thin as to be transparent, especially when compared to such Tyler novels as The Accidental Tourist and Dinner at the Homesick Restaurant. The main characters are the usual endearing oddballs, although I found it easier to believe in Dorothy than obtuse Aaron, whose narrative voice seems that of a much-older man. In the end, I was smiling, but I also felt bereft. It’s as if I invited Tyler over for a substantive meal, and she just dropped by for tea and sympathy. Open Book: I bought a digital copy of Anne Tyler’s The Beginner’s Goodbye (Knopf) for my Nook Tablet and my original Nook, which my mom is using. 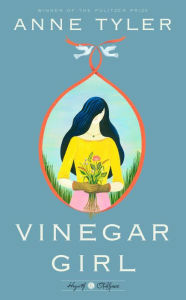 We always read Anne Tyler.